You can make better choices by understanding the cognitive biases to which we all succumb. 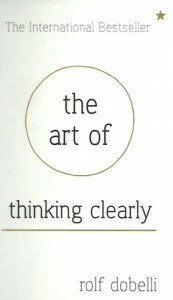 · Cognitive biases cause simple errors in most of our day-to-day thinking. · Understanding these can help when dealing with personal problems, negotiating in business, trying to save or make money. Social proof: if lots of other people do something foolish, so do we. Sunk cost fallacy: investment or ownership warps our estimate of value. Confirmation bias: we use as evidence what we want to see. Story bias: a good narrative makes us fall for things. Illusion of control: you control less than you think. Paradox of choice: the more choice we have, the less we make a decision. Coincidence: there is an inevitably about unlikely events. Gambler’s fallacy: there is no balancing force of the universe. Winner’s curse: curb your enthusiasm because your ‘luck’ will change. Loss aversion: bad events strike harder than good ones. Hedonic treadmill: be careful what you wish for – it’s never that satisfying when you get there. Affect heuristic: you are a slave to your emotions and always make shortcuts. Sleeper effect: propaganda works because over time we forget where we heard something. 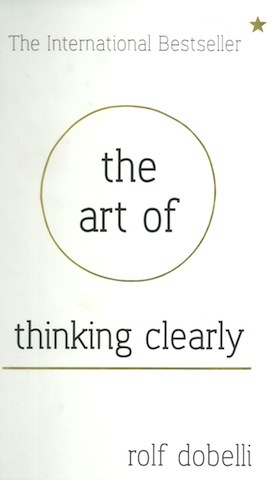 · This is an excellent synthesis of all matters relating to behavioural economics – arguably all in one place for the first time. · 99 concepts are covered in bite size chunks of no greater than 1,000 words, so you can get the gist fast. · They are all cross-referenced, so you can interlink theories and ideas. · The examples can get a bit repetitive, with a large number drawn from finance. · As ever, even recognising these things may not allow you to ride against your instincts – something the author freely admits.